"Our work at Wheeling Heritage focuses on supporting the efforts that link our strong sense of place to the community's current needs. Through programs that create platforms for public engagement and distribute leadership throughout our community, we are helping residents see how their skills help to advance the revitalization activities to move our community forward. We know that one or two organizations cannot revitalize a community alone, and we are grateful for the community's support and willingness to rally around a shared vision of a revitalized Wheeling that treasures our past and illuminates our future." Even though Wheeling Heritage only launched in 2015, they’ve quickly changed the narrative about their downtown. In just three years, they rehabbed 124 buildings, added 100 multi-family, market-rate units in historic districts, and lowered their vacancy rate from 32 percent to 15 percent. Community members now believe in the future of downtown, which shows in the $50 million in public and private investments Wheeling Heritage has generated since 2015. Wheeling Heritage’s focus on supporting entrepreneurs and involving community members in their revitalization efforts is exemplified through Show of Hands. This event brings more than 800 community members together to hear presentations from aspiring entrepreneurs, pay $5 for a ballot, and vote on their favorite idea. The winner gets all funds raised to start their project. So far, they’ve given more than $42,000 to 14 small businesses and projects. 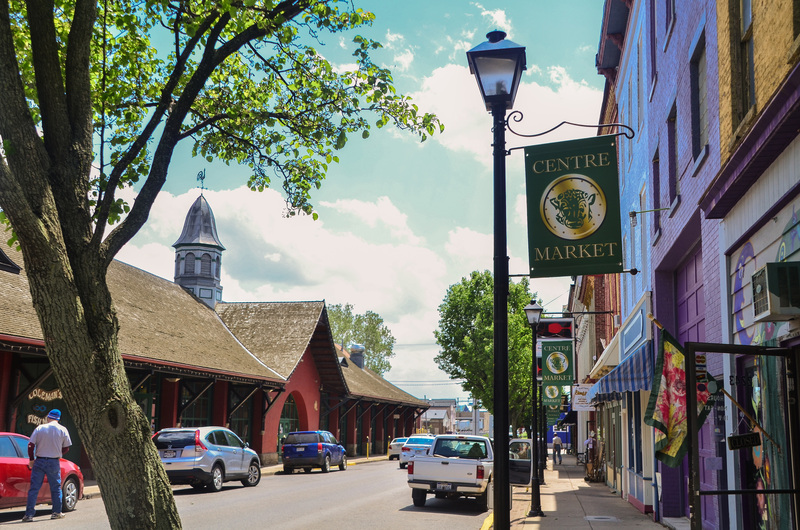 Situated in the Appalachian foothills, Wheeling has become a retail, recreation, and nightlife destination, with beautiful parks, award-winning trails, and a vibrant art and food scene. Visitors can walk along the scenic Wheeling Heritage Trail on the Ohio River, take in art at one of the many local galleries, or attend a concert at the newly renovated WesBanco arena. Fun fact: The Capitol Theatre in the Main Street District is known as the second home of country music. It has the second longest-running radio performance in the country, the Wheeling Jamboree (behind only the Grand Ole Opry). On Monday, March 25th, we’ll announce the three winners of the 2019 Great American Main Street Award (GAMSA) at the Main Street Now Conference in Seattle, Washington. Stay tuned!